!! AMAZING HOME !! This beautiful home is within walking distance to the Historic Village of Arroyo Grande. 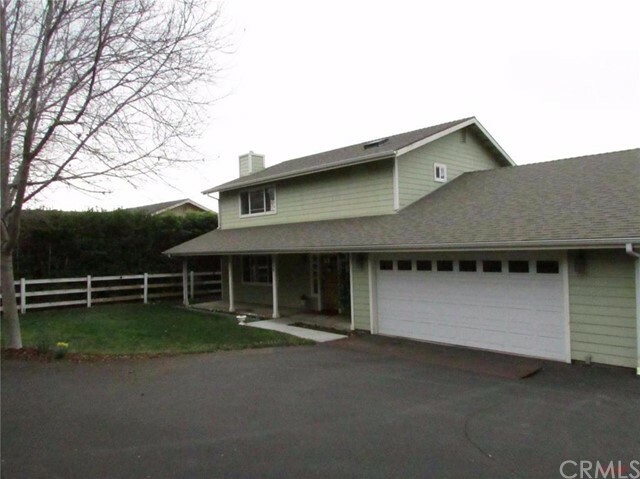 It sits on a huge lot and offers all that the discriminating home buyer would need. With wonderful views of the valley you will feel like you are living in the country.The lower floor boasts a fabulous living room with a gas fireplace, dining room, laundry room, powder room and a wonderful kitchen with a large pantry, breakfast bar and dining area that opens to large family room with a flat screen TV and a professionally installed surround sound system that stays with the home. Upstairs you will find a large master suite with a jetted soaking tub in the master bath. There are two nice guest rooms and a great guest bath. The home has an attached two car garage as well as a separate over sized two car garage/shop with a full bath, (designed to be converted to a guest house ) a finished garden shed and lots of paved parking.